Навистина може да му се позавиди на животот кој го живее овие денови Зоран Витанов. Фотки од најубавите летувалишта во светот, светски центри, скапи ресторани, хотели, бродови. Човекот живее како крал. И дотука се е во ред. А како успеал, со што? Што уствари он продава? 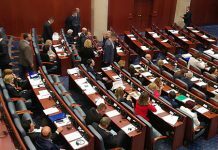 Он е главен агент за Македонија за пирамидалната кешбек измама наречена Лајонес односно Ликонет која е забранета во Норвешка, сега се отвора процес во Италија а на пат е да се забрани и во цела Европа. Само кај нас нема кој да ги забрани затоа што го мамат народот по старата добра шема на ТАТ од Битола. One year after Lyoness was founded, in 2004, the Austrian criminal police (Kriminalpolizei) published an article in the December issue of its organisation’s magazine, in which it warned of the resurfacing of Ponzi schemes and pyramid schemes in Austria. Lyoness was explicitly mentioned in this article. The company contested the allegations publicly. 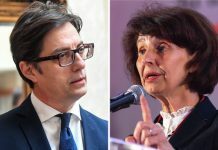 In 2005, Austrian Parliament member, Johann Maier (SPÖ) asked the then-incumbent Austrian Minister of Justice (Karin Miklautsch, BZÖ) parliamentary questions about the reports filed against alleged pyramid schemes in Austria in 2004. Lyoness was one of the organisations complaints were filed against. In 2008, the Austrian Chamber of Labour (‘Arbeiterkammer’) of Steiermark issued a warning against Lyoness, listing its alleged privacy violations, misleading advertising, deceptive information and unrealistic and negligible benefits as red flags for doing business with Lyoness. In March 2010, the Swiss magazine Beobachter published an article by Pascale Hofmeier entitled “Lyoness: Hands off”. In the article, Sara Stalder of the Swiss Consumer Union and Manuel Richard of the Swiss Gambling Commission warn consumers not to do business with Lyoness. In early 2012, Kleine Zeitung published an article suggesting that Lyoness deceived the masses by operating an irrelevant shopping community. L’Hebdo, a Swiss magazine, reproduced a story about how Lyoness members are told that an investment of 3,000 CHF will eventually lead to 25,000 CHF in return, if enough new, down-paying members are recruited. In February 2012, the Beobachter published an article stating that, based on review of internal Lyoness communication, members are offered ‘bounties’ up to 45,000 CHF to provide ‘relevant information’ on Lyoness’ critics. A critic from Zurich was reported to have been sued for over 1 million CHF for ‘defamation’ after he contacted Lyoness’ partner companies in Switzerland in an attempt to explain the business model of Lyoness to them. The article also reported that the Lyoness business model seems to revolve around recruiting activities instead of discounts and that Lyoness is internationally charged with forgery, fraud and hosting a pyramid scheme. Der Standard reported in July 2012 that the Austrian Economic and Corruption Prosecutor (‘WKStA’) has been granted jurisdiction to investigate and prosecute Lyoness in Austria. The Swiss Handelszeitung mentioned a court case Lyoness lost, which revolved around the question as to whether the company should have issued a financial prospectus before asking investors to finance their advertising campaigns in foreign markets. In September 2012, the same newspaper reported that major, alleged Lyoness partners in Switzerland (Microsoft and Kuoni Travel) were deciding not to continue the partnerships, if there were any to begin with. The Wiener Zeitung reported about a pending lawsuit initiated by the Austrian Consumer Organisation ‘VKI’ in March 2013. The VKI contested 61 clauses of Lyoness’ ‘General Terms and Conditions’, which it called opaque, uncertain, and/or meaningless. Eric Breiteneder, hired as a legal representative by the organisation, also referred to the concepts used to distinguish various parts of – and benefits within the Lyoness business model as vague and/or undefined elsewhere. The Handelszeitung reported about suspicions that high-level Lyoness members were earlier involved in (other) pyramid schemes, like the ‘Spirit of Independence’. It also mentioned a system called ‘GTS’ (Global Trade System), operated by Erin Trade SA, as a former organisation tied to Hubert Freidl. Like Lyoness, this company has been called a pyramid scheme in the public debate. The Kleine Zeitung reported that various experts were looking at the investment schemes for advertising campaigns organised by Lyoness, and whether a prospectus was required before attracting capital from investors. Lyoness-hired professor Susanne Kalls concluded that no capital market regulations were violated by not issuing a prospectus; attorney Karl Hengstberger came to the opposite conclusion but agreed with Kalls that the Lyoness business package does not constitute an investment. In the same article, Lyoness spokesman Mathias Vorbach admits that the company may have had some trouble before, but that those days are behind it – Lyoness has learned from its mistakes. He asserts that legal problems have only appeared in Austria (a contested claim) and that 95% of the Lyoness members just shop and do not participate in the earning models offered by Lyoness. However, the Beobachter, after reportedly considering internal Lyoness documents, published an article suggesting that 99.7% of the Lyoness turnover derives from down-payments on future purchases, not from actual shopping or (saved up) discounts. In September 2009, Lyoness hired criminal law expert Peter Lewisch to assess whether the company’s business model violated the Austrian law concerning illegal pyramid schemes. The study, conducted by Lewisch in September 2013, argued that Lyoness is not a pyramid scheme under Austrian legislation. The judges of the regional court in Krems, Austria, however concluded that the business model of Lyoness is so “Ponzi-Scheme-like”, that contracts between the company and its business partners are not valid.Lyoness has been declared a pyramid scheme by at least four independent civil courts in Austria. Additionally it was reported that the Austrian Consumers Union has filed suit against Lyoness for providing participants with unclear and deceptive terms and conditions. VKI represented clients who contended they invested money in the advertising campaigns organised by Lyoness, and several option trading packages offered by Lyoness, but were not provided with a prospectus. VKI won their case against Lyoness and the court ruled that the 61 contested clauses are indeed unlawful, making the contracts between Lyoness and its premium members not legally binding under Austrian law. Further civil proceedings have been combined into a class-action lawsuit worth millions of euros, initiated by process financier Advofin, and supported and recommended by the Austrian Consumers Union (VKI). The lawsuit will be filed in Amsterdam. Lyoness is suspected to be a pyramid scheme in several of the countries it operates in. In its homeland Austria, Lyoness has been declared a pyramid scheme by four independent civil courts. Criminal investigations have also been concluded by the Austrian Economic and Corruption Prosecutor (“WKStA”), who maintains that Lyoness operates an illegal pyramid scheme. Lyoness expects to be cleared of all charges. In Australia, Lyoness was under prosecution by the ACCC for operating an illegal pyramid scheme. The trial has ended and the judgment was reserved. In Sweden, the responsible authority concluded that Lyoness is a pyramid scheme and reported Lyoness to the Stockholm police. While initially halted, an appeal by the Gaming Board led to a continuation of the investigation by the Stockholm Police. In Poland, France, Hungary and Lithuania, similar investigations have been conducted or are ongoing. In Greece, the Austrian Lyoness directors have been accused of various types of fraud by the local authorities. Lyoness vehemently denies all allegations. In October 2015, the Australian Federal Court found that the loyalty program is not a pyramid scheme as the Australian Competition and Consumer Commission (ACCC) has originally claimed. The latest decision in Austria also declared that Lyoness is not classified as fraud or any illegal pyramid scheme by the Austrian Economic and Corruption Prosecutor (“WKStA”). In April 2016, the Vienna Regional Court stated that Lyoness is not a pyramid scheme. This decision is legally binding and can no longer be subject to appeal. In Australia, The Competition and Consumer Commission (ACCC), after researching Lyoness for a while, instituted proceedings against Lyoness International AG, Lyoness Asia Limited, Lyoness UK Limited and Lyoness Australia Pty Limited (together ‘Lyoness’) for operating a pyramid selling scheme and engaging in referral selling. The ACCC alleges that Lyoness has operated the scheme in Australia from mid-2011 and that it continues to operate the scheme. The scheme offers ‘cash back’ rebates to members who shop through a Lyoness portal, use Lyoness vouchers or present their Lyoness card at certain retailers. Whilst cash back offers themselves are not prohibited by the Australian Consumer Law, the ACCC alleges that the Lyoness scheme also offers commissions to members who recruit new members who make a down payment on future shopping. The ACCC is seeking declarations, pecuniary penalties, injunctions, an order requiring the Lyoness website to link to the case report and costs. As Lyoness International AG, Lyoness Asia Limited and Lyoness UK Limited are located overseas, the ACCC will be making arrangements for service on those entities. The case is before Justice Flick of the Federal Court in Sydney. Lyoness have submitted their defence in October 2014, and the next hearing will be in February 2015. Australian victims claim to have lost thousands of dollars each to Lyoness. The trial has ended and the judgment was reserved. In Greece, an arrest warrant was issued in August 2015 against the Austrian directors of Lyoness Greece. On the 10th of August 2015 the Prosecutor of Thessaloniki Court of First Instance issued an arrest warrant against Herbert Teissel and his wife Anna Teissel, alleged directors of Lyoness Greece, for attempted fraud. Lyoness vehemently denies all allegations. Many people have lost money in Lyoness, hence why people are searching the internet for answers. Lyoness have developed a highly well designed scam to get money out of anyone they can world-wide. Their company structure will protect them from being sued. Before Nov ember 2014, Lyoness started getting merit and there was money to be made. It was a lot more simpler but now every little bit of reward has been reduced. It’s now next to impossible to make a living if you come into the business now. The only way you have a chance is if you signed up very earlier and live in Europe. We don’t ever see successful people in Australia, USA, UK, Canada making the large incomes. http://behindmlm.com/companies/lyoness/lyoness-acknolwedge-investment-scheme-with-deposits If you have put money into Lyoness, you will not get your money back unless you are able to get a class action organised or a government funded investigation into Lyoness. They have set up sophisticated company structure that will hide funds so individually you will hit a brick wall. Not to mention the massive cost of litigation and time you will have to put into to recover your money. Many people put in money when Lyoness announced MasterCard was partnering with them. This was a massive lie by Lyoness. http://behindmlm.com/companies/lyoness/mastercard-denounce-lyoness-no-direct-relationship/ Lyoness has set up two foundations, you may not realise this however non-profit foundations cannot be sued for money donated to it by corporations. For example, Lyoness can transfer funds to both their non-profit foundations, and if Lyoness goes belly up the foundations are not touched. However the directors and CEO’s can be paid massive salaries on behalf of the foundations. So how does someone get even with Lyoness? It’s actually really easy. For Lyoness to continue they need ongoing funds, innocent people are enticed to invest their money in “Units” for a return. As many people are under financial stress it is easy to get caught up in the dream. Usually they are enticed by someone they know and trust. What we need to do is break the cycle and put Lyoness out of business. I can hear the diehards laughing, but really it is Lyoness laughing at you. Follow this plan: 1. Do not ever use your Lyoness card at Lyoness merchant business, instead show the merchant your Lyoness card and ask for a discount at the counter. The business owner has to pay Lyoness between 6 – 12% per sale, and most times you only get around 2 – 3% cash back. So a win/win way for you and the business is to agree to a percentage at the counter. The business saves money, gets more business and you get more back directly into your pocket…. and the best part Lyoness gets nothing. To get cash back paid, you have to wait till you have $15.00 dollars credit in your account. Consider the amount of people world-wide that have tried the card a few times and have a few dollars in their accounts and have left their accounts. They don’t get the cash, it just sits in their account, and Lyoness gets to use it. Most people will never take their few dollars out, if a couple of million people had a few bucks and not doing anything, that is a lot of money accumulated in Lyoness for nothing. Stop using your card. 2. Login to your Lyoness account and make sure that every bit of commission, unit pay outs is going to your bank account. Do not buy one more unit, do not have your friendship benefit paid into the International units. Make sure every dollar is set up to be transferred to your bank account. 3. Do not sign up for “Easy Shop Plus” – think about this. 47 countries, one unit per month per country. That now makes it 47 times longer to get units behind your national units. When we were allowed to drop our units into our own national program we would have had a faster turnaround in return….. not now. Yes you will hear success stories and they are people that have made money from units in the early days, however ask them what year they bought their units. Also ask them to prove their earnings by showing you their back office; they won’t because often they are lying. If you got in very early you might have a chance of getting something back, but not now there are too many units in the system… don’t do it. 4. Unsubscribe from their emails. The less stats they have of an email readership list, the more unattractive they are to national corporations. 5. If you have units, start emailing Lyoness in your country asking them how they work, when are you going to get a payout… be polite, ask lots of questions and keep the replies you never know when you will need to use their replies as evidence. They will try to avoid answers to your questions, post their replies online, even on this site. Start telling the world about your experience with Lyoness. If everyone starts this it will swamp their head offices and ultimately the authorities within your country will have to asking questions. 6. Write letters to local business groups warning them about Lyoness, tell them your story, how you were ripped off and to warn their business members not to become a Lyoness merchants. 7. Stop signing up people for the “free card”, if the membership doesn’t grow their numbers look pathetic to large corporations. 8. Start writing to politicians, legal authorities, police, and government departments. Write to every organisation and tell them your story. 9. If you live in Australia, USA, UK write to the tax department in your country and tell them about Lyoness leaders. They hide their money in their Lyoness accounts and spend it with merchants; hence the income is not disclosed to tax. Ultimately someone will get investigated, and it will open up a can of worms and money laundering. 10. Post a link to this article everywhere especially social media. Get the word out people it’s time for us to say No to greedy corporate companies that use lawyers and scams to get money out of people based on lies. Read this: http://behindmlm.com/companies/lyoness/swiss-court-rules-lyoness-a-ponzi-scheme-affiliate-contracts-invalid/ 7. Write to your local paper; call a radio station start becoming vocal about your loss with this company. If we all do this ultimately the press is going to start reporting and spreading the word. Do this world-wide. Social media is a great starting point, twitter, LinkedIn and more, post something on your personal FB page, groups and your local business groups. Create a YouTube video, they get lots of views and tell people your story. The press will pick it up don’t worry they are always looking for news to report. Lyoness doesn’t like people going public about them. http://behindmlm.com/companies/lyoness/lyoness-ceo-its-all-about-positions/ Lyoness will fall, and even in their own home country they are in trouble: http://behindmlm.com/companies/lyoness/lyoness-found-guilty-of-deceptive-business-practices-austria/ The terms and conditions are illegal in most countries: http://behindmlm.com/companies/lyoness/vienna-court-of-appeal-upholds-lyoness-tcs-are-illegal/ http://behindmlm.com/companies/lyoness/swiss-court-rules-lyoness-a-ponzi-scheme-affiliate-contracts-invalid/ Read this Wiki article: https://en.wikipedia.org/wiki/Lyoness Hubert Friedl will be brought to justice – his name is mud in Austria. http://behindmlm.com/companies/lyoness/new-criminal-charges-against-lyoness-and-friedl-in-austria/ A message to the diehards, we only hear about how well Italy is doing, the top leaders are now gone. In America the top leaders were either terminated by Lyoness and their businesses were stolen from them by Lyoness or they have left because the money was poor. In Australia the top leaders have sold their businesses to diehards who couldn’t build their own businesses so they bought someone else’s Lyoness business. It’s only a matter of time before these *** people realise they have lost a lot of money and time. They troll these comments, but deep down they know people are not making money, because people in their own teams tell them and drop out. So stupidly they buy upline’s Lyoness businesses to attempt to be seen as doing well… they are not, if they can’t build their own business what makes them think they can build someone else’s business. These new buy in leaders are working in traditional income streams such as employment or their own business or getting Centrelink to fund their activities. It’s actually sad when you step out of the insanity and see how brainwashed these people are, all they talk about is Lyoness. Yet after years of saying the same thing they are old and still cannot live on the earnings from Lyoness so are forced to work or get on welfare. They surround themselves with the same type of diehard people and think everyone looks up to them but the majority of their teams can’t stand them for the bad advice they promoted to put money into Lyoness units. It’s really sad but also they are dishonest and think about their own units and commissions at the expense of innocent people being lured in by presentations and hype. If enough of us start getting proactive and going public with our story the press will pick up on it. Then the authorities will have to investigate. We are people that believed in something that would help build a nest egg and believed enough in a system to put our money into. Yes we were scammed but if we all stand up to this horrible company, together we can beat them. Just do something no matter how small or large to get the word out. It will add up world-wide and if we help one person from not making the same mistake we have, then it will be worth it. Together we are Awesome! I didn’t like: Being ripped off, Way they scammed an honest couple, Sales pitch, Too complex, Misrepresented themselves. The Lottery Authority in Norway is a government agency responsible for illegal marketing, illegal gaming and pyramids. Notification of decision sent to Lyoness. On 11 January 2018, the Lottery Authority has sent notice of a decision to terminate Lyoness’s operations in Norway. Notification of decision sent to Lyoness Notification of decision is addressed to Lyoness Europe AG and Lyoness Norway AS, but will also include 150,000 Norwegian participants and 1,000 loyalty companies included in the Lyoness sales system in Norway. Based on the number of received tips in 2016 and 2017 and the content of these foundations, the Lottery Authority has assessed whether Lyoness is an illegal pyramid-like sales system pursuant to section 16, second paragraph, of the Lottery Act. In the assessment, we have assumed that revenues from Lyoness’s business in Norway are mainly from the acquisition of participants, and not from sales or consumption of goods, services or other benefits. In the notice of decision, the Lottery Authority concludes that Lyoness’s business in Norway is an illegal pyramid-like sales system pursuant to section 16, second paragraph, of the Lottery Act. We have paid particular attention to the fact that Norwegian participants in Lyoness do not receive or consume goods, services or other benefits from the sales system that correspond to the value of what is paid when paying for them. As a result, the participants’ payments to Lyoness are considered as consideration to participate in a pyramid-like sales system. The income of the company and individual participant comes almost exclusively from the replacement of new participants and their payments to Lyoness, and not from sales or consumption of goods, services or other benefits. In a letter dated 11 January 2018, the Lottery Authority has announced that we will make a decision that Lyoness must cease all its activities in Norway. The notified decision implies that all referral of participants and loyalty companies to CashBack World and Lyconet, and all sales and use of benefit cards, discount coupons, customer card shares, gift cards, marketing materials, seminars and other product in the business may cease. The Lottery Authority’s notice of decision is based mainly on the information received from Lyoness in the matter. Lyoness has a four-week deadline to object to the decision being notified, or the reason for the alert. The Lottery Authority’s further processing of the case is due to Lyoness’s feedback. The Lyoness Group is dividing its three business areas into two brands: The Lyoness brand encompasses the shopping community and the loyalty program. Their target groups are consumers who want to save money by shopping with Lyoness (Cashback) and loyalty merchants who want to use an international multi-sector loyalty program. The Lyconet brand encompasses all network marketing activities of the Lyoness Group. Its target groups are self-employed people and companies. The Lyoness Group is currently active in 46 countries on all continents. Over 4 million members take advantage of the Lyoness benefits at over 40,000 loyalty merchants around the world. More at www.lyoness.com. Want to read the 6 reviews on Lyoness? Click here for Lyoness Review! Fala bogu sto konecno nekoj go cepna Vitanov, koj na site mediumi ni se predstavuva kako nekakov vrven menadjer, ekspert, itn , a ustvari e eden od liderite na najgolemata piramidalna sema sto raboti nepreceno vo Makedonija. toa sigurno ke go sledat i dr. skandinavski drzavi.Vo Avstrija i Svajcarija ima mnogu presudi vo korist na klienti koi gi tuzele za izgubeni pari i dobile. Ima zabrana i vo mnogu drugi Evropski drzavi, samo vo MK nema koj da reagira, uste i se reklamiraat po gradov i na utakmici od LSampioni vo rakomet. Tri pati menjaat ime poradi ovie zabrani, od Lyoness vo Likonet, pa myWorld, pa sega CashbackWorld. Cashback varijantata e samo paravan za piramidata kade sto mora da vlezes so kupuvanje pozicii i investiranje vo oblaci , kade sto cekas 4 godini za povrat na investicijata plus ogromen profit koj dosega nikoj ne go dobil.Tie pari se delat vo piramidata, ama toa sigurno ti e poznato. Ne sakav da komentiram, ama mislam deka ja koristat finansiskata nepismenost na nasiov beden narod, cij sto najmasoven, nacionalen sport e da dava pari po kladilnici i el. kazina, I normalno razno razni piramidi. Tuka sekako vo Mk e mnogu rasprostraneta i piramidata Onecoin, koja sto veke e riknata, ama ima uste luge sto veruvaat deka ke zarabotat golemi pari. Samo sakav da se razoblici ekonomskiot ekspert. ps. Ako nesto objavuvas, bi sakal da ostanam anonimen. Previous articleБОКИ 13 ГО КАНИ НА ДЕБАТА ВО 1ТВ РЕКЕТАРСКОТО ЃУБРЕ ЗОРАН БУРЕВЕСНИК, ОВОЈ ПРИФАТИ, БИЌЕ КРВ ДО КОЛЕНА, ПОКОЉ, КОЛЕЖ!!! Next articleСпасов : Треба храброст да се победат и остатоците од режимот на Груевски! (ФОТО) ВЛАДАТА СЛАВИ ВО АВИОН ЗА ДАТУМОТ ЗА ПРЕГОВОРИ СО ЕУ!! !